Can you believe New Years is just around the corner? Seriously, just TWO days from now! Do you have plans? 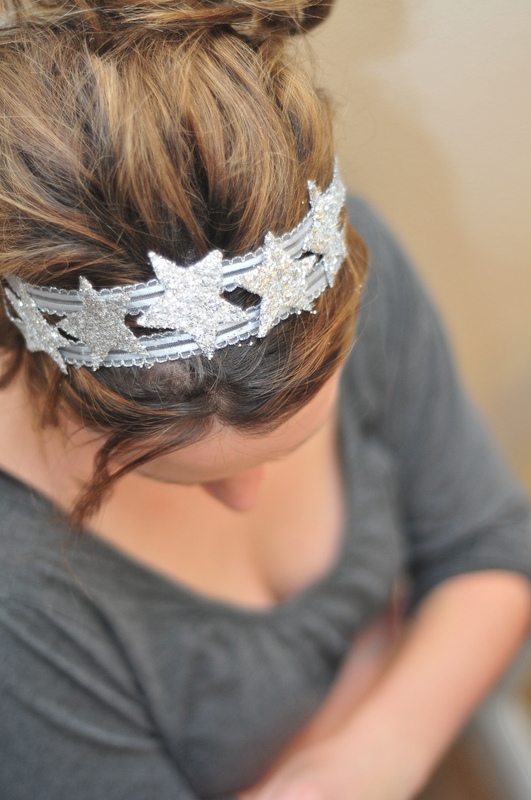 Do you have a little sparkly number picked out for a night on the town? My husband and I will be at home with our kids again this year-we love to watch the East Coast ball drop with them. We play family board games and drink sparkling cider! 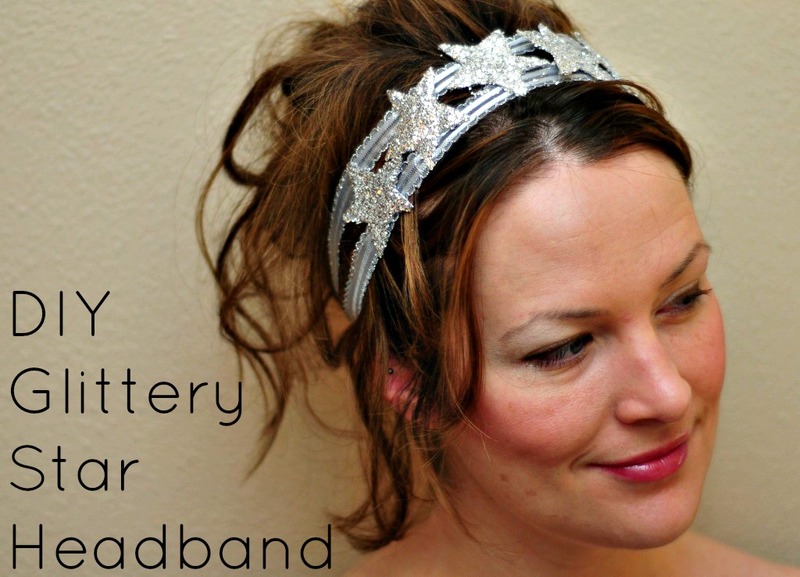 But… if I were going to hit the town, wouldn’t this be the perfect glitzy addition to any outfit? I found it on Pinterest of course! 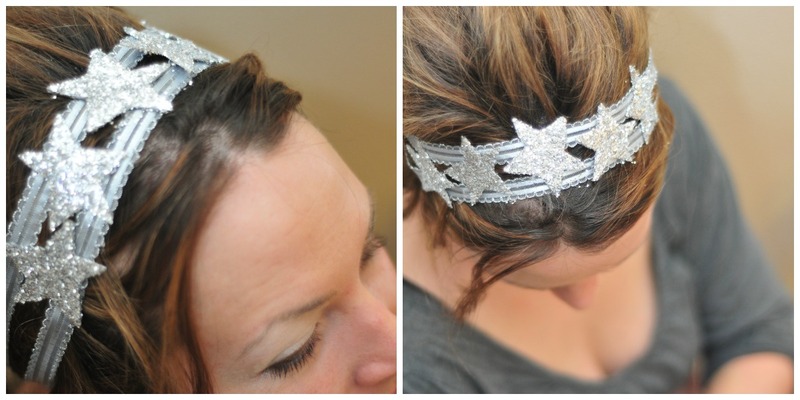 This Starlette Crown is from the Giant Dwarf Etsy Shop and it is all kinds of fabulous! 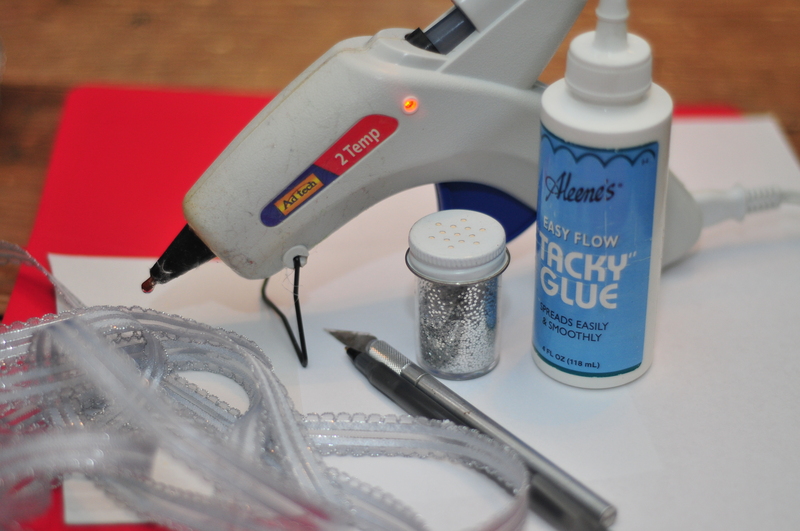 But if you didn’t have the $75 to invest in this pretty purchase, you can make your own version using what you probably already have in your craft stash! Scrap Cardboard-I used the bottom of a shoe box! 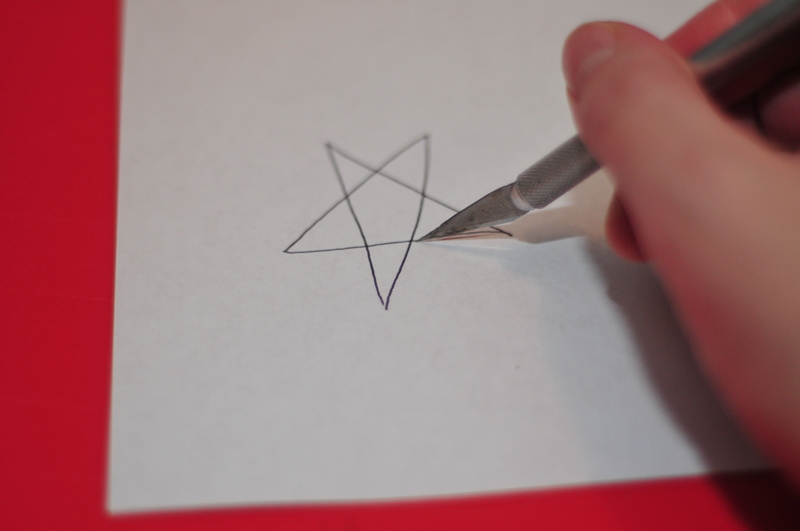 Draw a star on paper. I tend to like things a bit asymmetrical and free-formed, but you could always use a stencil or the like. Cut out the paper star shape and use this as your guide. 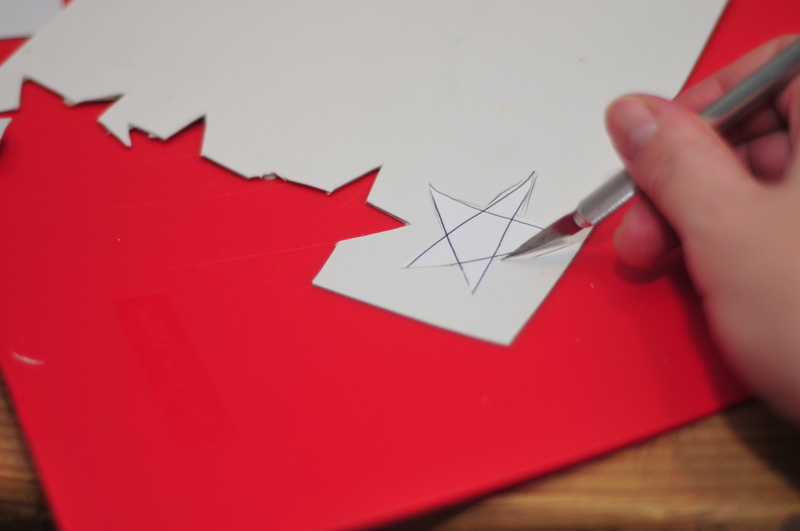 Cut five stars from the cardboard. 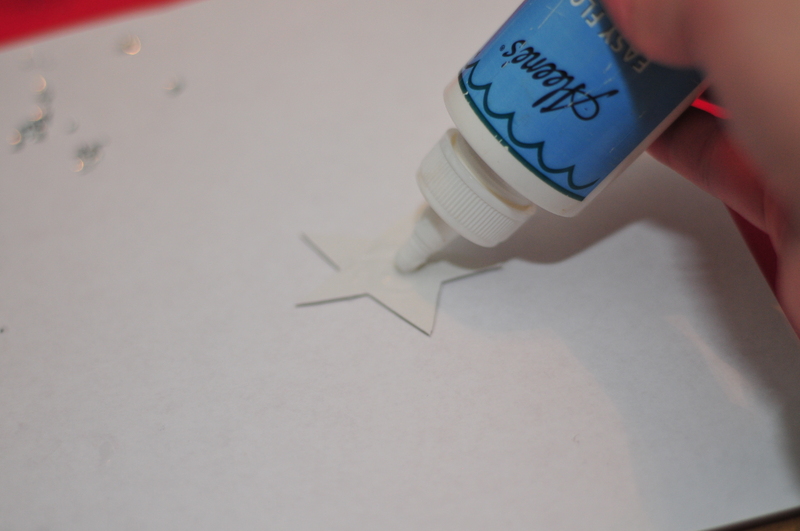 Spread glue in a thin layer over each star. 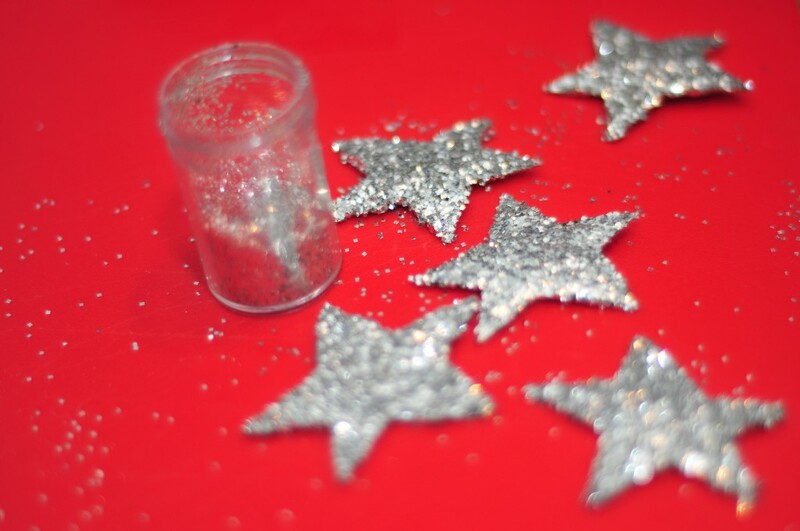 Cover the stars with glitter and let dry. 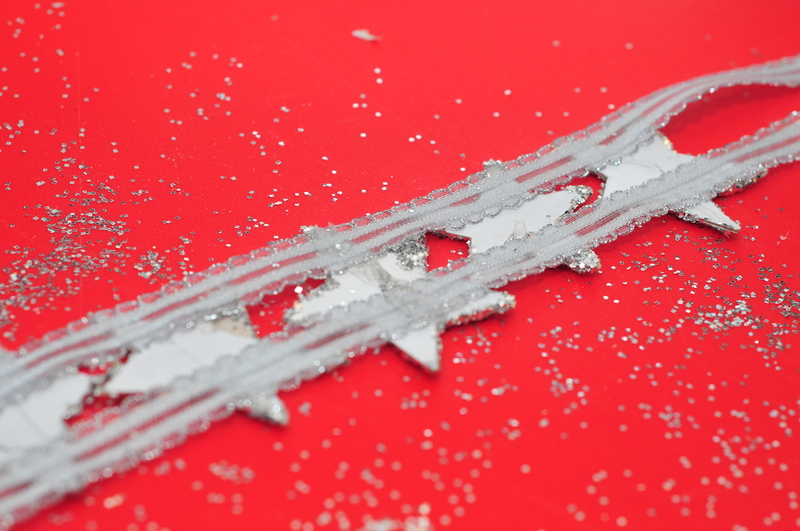 And you are ready to add a bit of sparkle and fancy to wherever the New Year takes you! Adore Resin Flower Hairpins & Jewelry? 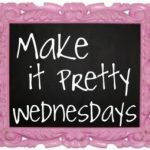 Make Them Yourself! 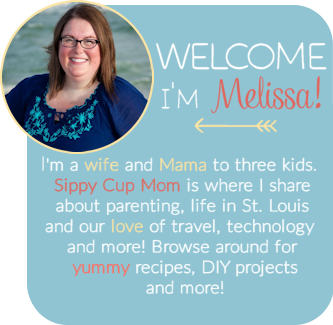 Snapcrafty Review & Giveaway! 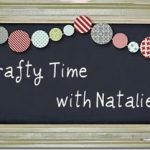 Crafty Time With Natalie: How 3 Ingredients Saved my Playdate and my Sanity! Very cool! That would look so cute in Aimee’s hair! Die Einhorncreme von doubleu doubleu dobleu schutzengelein point de für empfindliche, trockene Haut Das Beste was Ihrer Haut passieren kann – nur echt mit dem magischen Einhorn. Super cute.. and it looks so easy! I love it! Easy Peasy,my daughter and I will be trying this tomorrow, because were staying out of the extreme heat. This look’s like so much fun and it’s super cute! i honestly like your version better!! articles. I will bookmark your weblog and test once more here frequently. I’m somewhat certain I will learn many new stuff right here! I’ll have to show this to my sister, she recently made a floral headband. 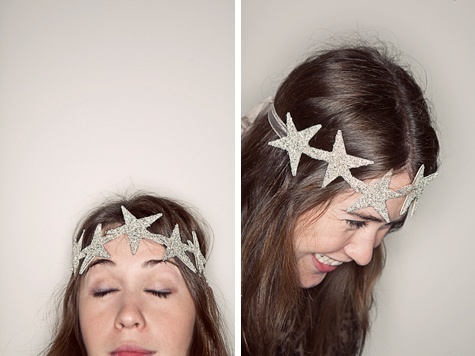 Gotta try this for my sis’s wedding! This is adorable, and it is worth the $75 if you have it. Or, if you are like me, I see anything I can remotely make as a challenge – this would be fun to do! This is a fun idea! Perfect with the holidays coming up.